If you liked this show, you should follow Voice of Nature Coast REALTORS. 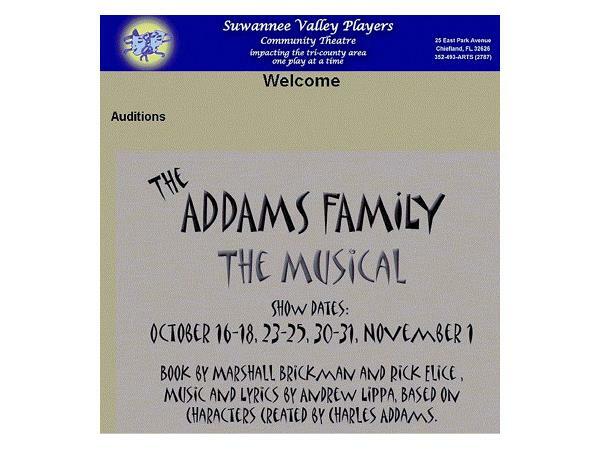 This is an interview of Elizabeth Philips and Linda Hagan, discussing the Suwannee Valley Players and the Chief Theater in Chiefland, FL, on the "Nature Coast" of Florida. We are committed to providing our community with cultural opportunities. With plays like 1776, Annie, andOklahoma!, we learn more about our country's history. Plays such as The Wizard of Oz, Twelve Angry Men, The Crucible, Little Women, and The Secret Garden explore great works of literature. We teach many aspects of theatre craft and welcome any member of the community to join, learn and help in our shows. Over the years, we have watched "our kids" develop confidence, poise, and social skills even beyond those of their peers.